Do you want to play AFL? 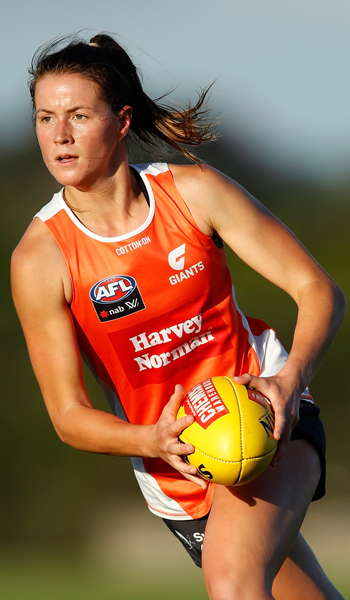 Nicola Barr joined the GIANTS as the number one draft pick in the inaugural AFL Women’s Draft, and was nominated for the AFLW Rising Star Award in her first season. 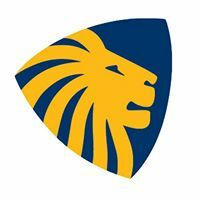 Barr was named 2016 Mostyn Medalist as the Best & Fairest player in the AFL Sydney competition and has since established herself as a dashing half-back with an accurate kick. Barr is studying Medical Science at Sydney University and has played for our club since 2014. 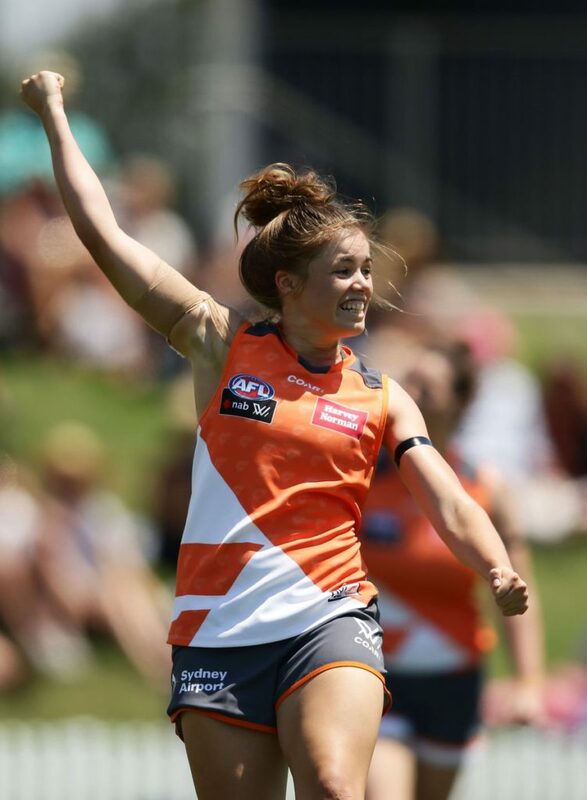 Erin McKinnon was drafted to the Giants with pick 48 in the inaugural AFLW draft and hasn’t missed a game across two seasons. 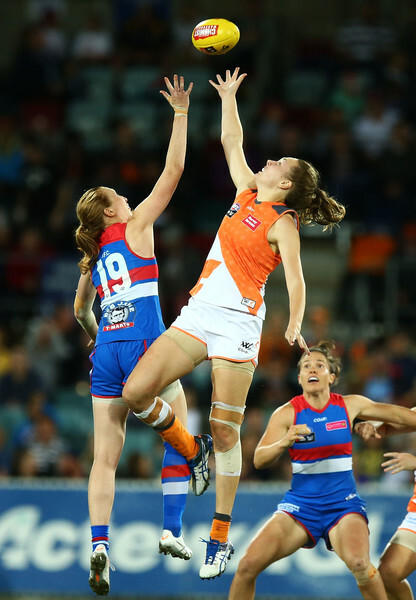 An outstanding tap ruck, McKinnon earned a NAB AFLW Rising Star nomination in 2017 and was named All Australian ruck in 2018. Off-field McKinnon studies Sport & Exercise Science at Sydney University and has played for the Sydney Uni Bombers since 2016. Steph Walker was drafted to the GWS Giants in 2016 as a dynamic and exciting midfield / small forward. 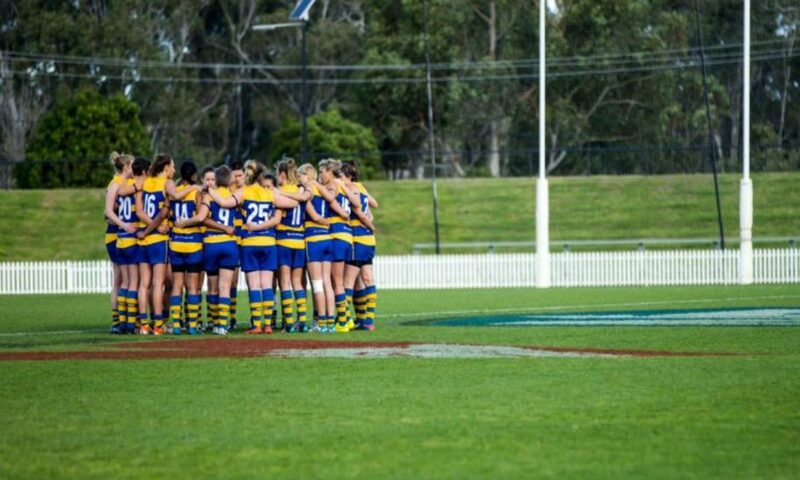 Like her teammate in Nic Barr, Walker won the Mostyn Medal for AFL Sydney’s Best and Fairest in 2014, after being recognised as the league’s Rising Star the year before. Walker played over 50 games for the Sydney Uni Bombers before moving to SA in 2018.